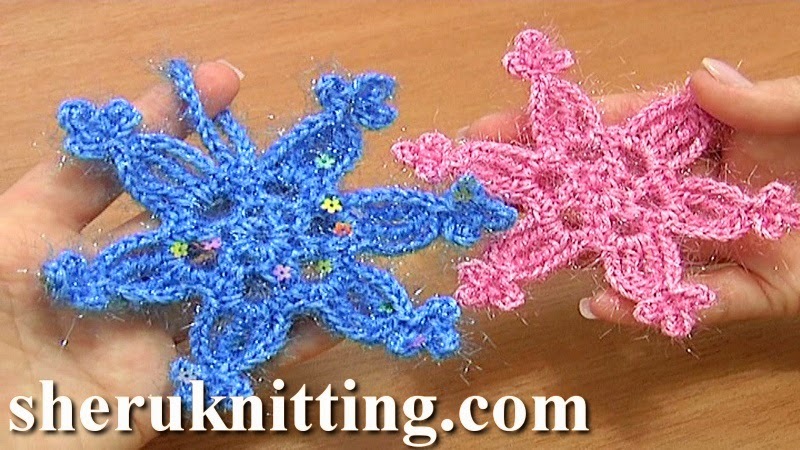 This easy to make flat snowflake will be a great decoration for your Christmas tree. In first round we are making chain spaces of 3, in the second round -- chain spaces of 5. The third round is the last one where we are making petals of chain stitches, 2-triple treble crochet cluster stitch and on top of this cluster there is an element of 3 different picots. Looks very beautiful! Thanks for watching! Steel Crochet Hook size 2mm, 2.25mm or 3.00 (#4 or #2 US standards) and yarn: 31% Lurex, 69% Polyester, 190m/100g.